Here, Archigram’s David Greene concludes a polemical argument for a 21st-century architecture liberated from market capitalism by its technologically enabled transience. For Greene, the then-still-not-ubiquitous—nor smart—mobile phone held the potential to untether global financiers from a fixed place of work materialized in architecture. Almost 20 years later, rereading this fable, we find its uncanny prescience accurately describes our current condition. A combination of economic pressures and accelerated technologies has transformed virtually every inch of the planet, public and private, into an office. We never leave the office. Every profession has been subjected to the tether of the phone, and those, such as architecture—already defined by its culture of late nights and long hours—ever more so. It is a culture into which generations of architects have been initiated in school. Yet until recently, it has been little questioned. Students are expected to arrive to final reviews with the minimum possible sleep. Recent grads flock to offices that offer the benefits of “free dinner” and paid taxi rides home when the workday extends to benchmark hours late into the evening and night. 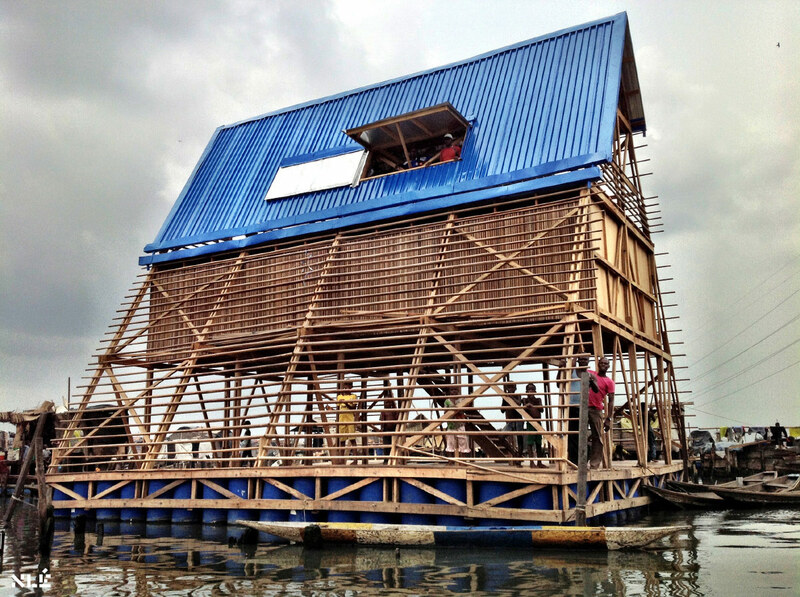 As ethical imperatives have entered into architectural practices (piggybacking on environmental considerations), exploitation, environmental and human, and physical and immaterial labor become issues we can no longer ignore. Peggy Deamer’s The Architect as Worker asks us to address these concerns, to unflinchingly consider the way we work, concomitant with the systems of labor that we enable. 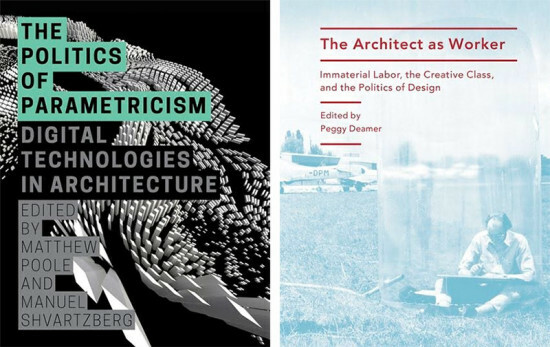 Following on the heels of two other edited volumes she published on the economic and social structures that define the profession, this 250-page book with 17 contributors is a denser and more polemical exploration of the protocols and practices that structure the labor of architectural design and construction. 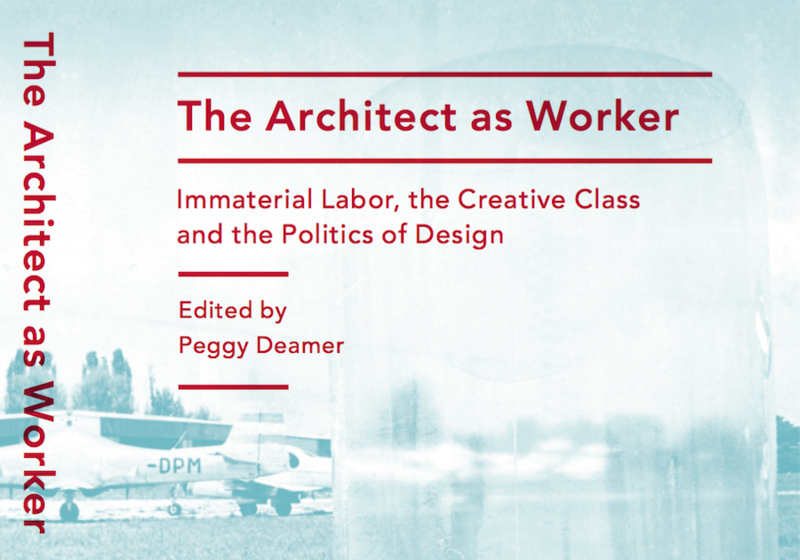 Deamer has organized the texts into five sections that consider the relation of architecture and labor in theory and in practice. The perspectives traverse the broader issues of defining immaterial labor to discipline-specific speculations that suggest new models for the profession. Fittingly, the essays begin with the implication for the university and end with practice. Some of the essays are more philosophical (Franco Berardi), others historical (Richard Biernacki, Andreas Rumpfhuber), or contemporary and pragmatic (Deamer, Neil Leach, and Phillip Bernstein). Though the sections do not specifically seek to respond to each other, the connections and resonances that emerge between essays are some of the more satisfying moments in the book. Whereas Berardi’s contribution brings our consciousness to the exploitation labor of the academic, Daniel van der Velden and Vinca Kruk of Metahaven do so through a drift through various observations on design culture and its attendant value-added design surfaces as commodity objects and their relation on politics and society. Far from a rant about low pay and long hours (not that these conditions aren’t substantiated as a genuine problem) or a what-if exposé on the “submission of knowledge to economics,” the essays collectively look at the larger shift in how work has changed in a post-Fordist economy. The tone remains positive as some of the essays pose alternatives (solutions) to the current conditions, while others explore the underlying structures of the discipline in an enlightening and shocking depth (Pier Vittorio Aureli, Mabel Wilson, Jordan Carver, Kadambari Baxi), revealing the global network of actors involved in even the smallest of projects. We are left with the uncertain awareness that the information age is also a knowledge economy—and therefore a commodity, like any other. Some essays manage to do both, such as Leach’s The (ac)Cred(itation) Card, which offers a rethinking of educational models to address the ironic disconnect between accreditations boards’ ever-tightening grip on disciplinary educational and licensing criteria while the professional as such is increasingly marginalized in the building industry and the minimum basic educational standards are increasingly irrelevant or insufficient for students. As well, Deamer’s own essay is both a broad survey of the history of artisanal work and an exploration of the transformation of architectural work by the knowledge economy. For Deamer, the shifting of the architect from object designer to project designer offers an opportunity to change the compensation structure for firms and individuals. Rather than devolving into a solipsistic rumination, the essays collectively ask us to shift not the way we work, but how we conceptualize our contribution and place in the global economy. The book provides a mounting argument against architecture as a “calling” (page 61), revealing the exploitation we have been subjected to as well as that which we have indirectly subjected others to. Given the density of the text and imagistic duotone cover photo, one wonders if the book’s primary audience—those who are likely to recognize the image as Hans Hollein’s mobile office from 1973 (complete with landline)—are already are familiar with and sympathetic to the issues it raises. Yet, as a volume that asks the questions of a discipline regarding the work we do and equally the work that our work fosters, it belongs on every architect’s bookshelf.